The South Side of Chicago is no stranger to innovation. Enrico Fermi built the first nuclear reactor here. Frank Lloyd Wright homes, including the famed Robie House, dot the landscape. And the University of Chicago — where President Barack Obama started his professional career — is a virtual factory for Nobel Prize winners. It has also presented a litany of difficult problems to policymakers and residents for years: Segregated poverty, crime, poor schools, rising unemployment, and long-held suspicions by neighbors of the university dating back to urban renewal projects in the 1950s and 1960s that pushed out many African-American families. The question of how to solve this problem of trust has vexed the homegrown research institution’s most brilliant thinkers for most of its 125 years. Two years ago, however, something began to change. 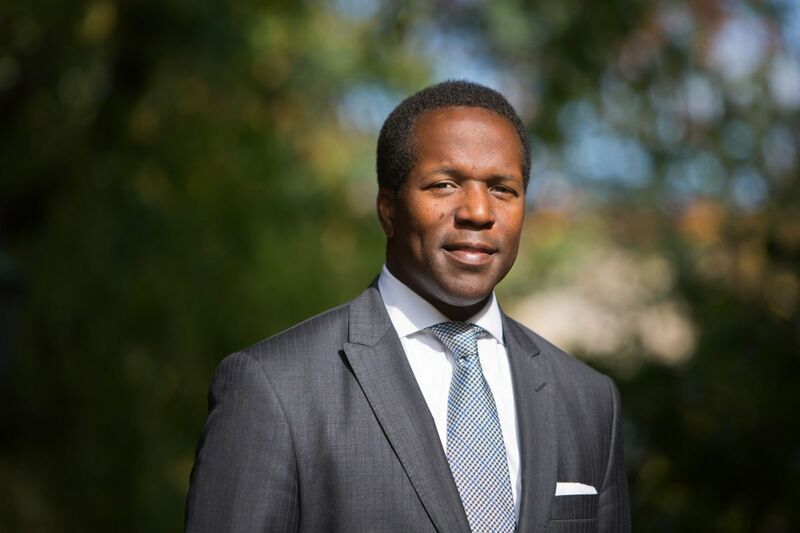 In 2012, Derek Douglas was plucked from Capitol Hill, where he was advising Obama on urban policy, to be the university’s second vice president of civic engagement and oversee its then-four-year-old Office of Civic Engagement. The progressive-minded young lawyer had, not unlike Obama, quickly climbed the political ranks to reach the White House before hitting middle age. Douglas succeeded Ann Marie Lipinski, a Pulitzer Prize-winning journalist who was editor of the Chicago Tribune for nearly eight years before arriving at the university. She helped to shape the brand-new office, whose goal was to create a new model for how urban research universities interact with the city around them. When Lipinski came in, the surrounding low-income neighborhoods were in free fall from the foreclosure crisis and crime rates were spiking after several years on a downward trend. In 2007, 10 months before her appointment, graduate student Amadou Cisse was shot to death near campus as he made his way home from an ice cream social, sending the university into a tailspin. Lipinski’s job was to establish new, positive connections between the school and the adjacent community. “Really thinking about that in a comprehensive way, in a coordinated way, is the real task,” University of Chicago President Robert Zimmer told the Chicago Tribune at the time of Lipinski’s appointment. Lipinski was charged with overseeing relationships in the areas of public education, public safety, public health and economic development. It was a big job and a novel approach for UChicago. But by 2011, when Lipinski left the office to take a position as curator of the Nieman Foundation for Journalism at Harvard University, the groundwork had been laid for a new connection between the school and the South Side. Nimocks is the elder statesman of the OCE and its institutional memory. A 33-year veteran of the Chicago Police Department, the 85-year-old has a street in Woodlawn named after him. He has lived on the South Side for more than 50 years. He talks with a Southern lilt — “I was born in Chicago,” he says. “A lot of people say, ‘Well you don’t sound like it!’” — and in his trench coat and tie, could easily be mistaken for an off-duty detective. On a sunny and unseasonably warm October morning, he drove me through the university’s nine-neighborhood footprint in his Subaru, pointing out everything from the Obamas’ house (he set up the security detail) to artist Theaster Gates’ Dorchester Projects, a cluster of formerly dilapidated homes on the South Side that Gates turned into a library, slide archive and soul food kitchen. Gates is in charge of a UChicago initiative that opened an arts incubator in the Washington Park neighborhood last year, and is a strong ally and partner to the OCE. Once you get past Hyde Park’s more affluent streets, you start to see why Douglas, decided there was work for him to do on the South Side. The area has one of the city’s highest rates of long-term vacancy with 9.7 percent of all housing units empty in the first quarter of 2014, according to Institute of Housing Studies at DePaul University. In Woodlawn, one of OCE’s target neighborhoods, the poverty rate hovers at 28 percent, nearly 10 percent higher than the citywide poverty rate of 18.7 percent. Drive down a few blocks though, and you begin to see signs of very real progress being made, in part because of a university initiative that provides loan assistance to full-time faculty and staff buying homes within the nine designated South Chicago neighborhoods that hug the university. Getting to know South Chicago, across the map. Talking to people about all of its various geographies and the opportunities within them. This is all part of Douglas’ vision for tearing down the walls between UChicago and its neighbors. His office is playing a pivotal role in engaging Chicagoans around the university’s efforts, which happen to be broader in scope now than in any previous time in history. The school has spearheaded redevelopment along 53rd Street in the center of Hyde Park, invested in a charter school with four South Side campuses, and worked with Gates to give local artists the space and tools they need. Last fall marked the opening of the Chicago Innovation Exchange — a business incubator on 53rd Street — and the Civic Leadership Academy, a development program for rising leaders in the government and nonprofit sectors. 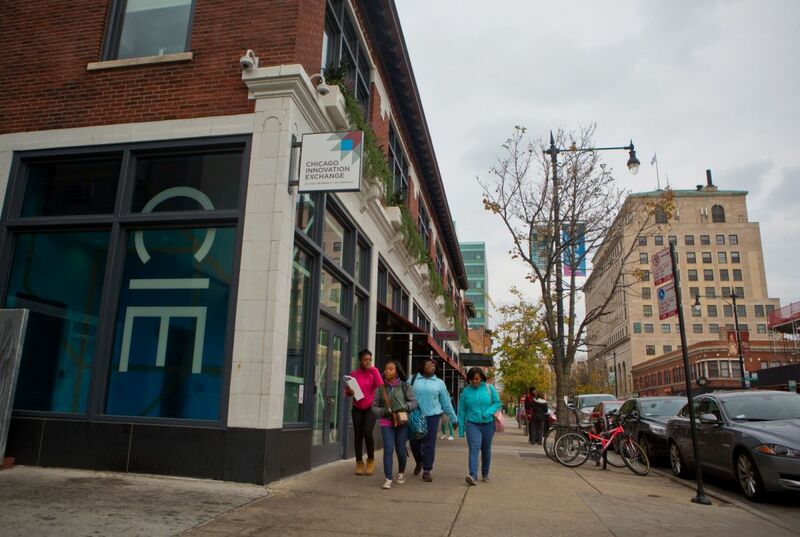 The newly-opened Chicago Innovation Exchange is a part of a larger university-led revitalization of 53rd Street near the University of Chicago campus. Take the university’s employer-assisted housing program. 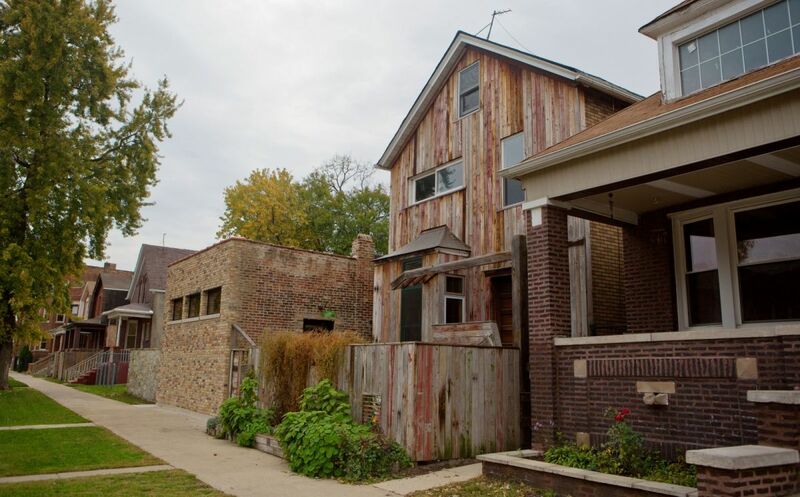 Through partnerships with local nonprofits such as Neighborhood Housing Services of Chicago and the Metropolitan Planning Council, the program brings a more diverse mix of income levels to neighborhoods that need a larger tax base and investment in housing while providing a resource to the people who keep the university and its hospital facilities running. The university recently revamped the program with a tiered system that incentivizes buying in certain neighborhoods such as Woodlawn, where prospective homeowners can get up to $10,000 in downpayment assistance. 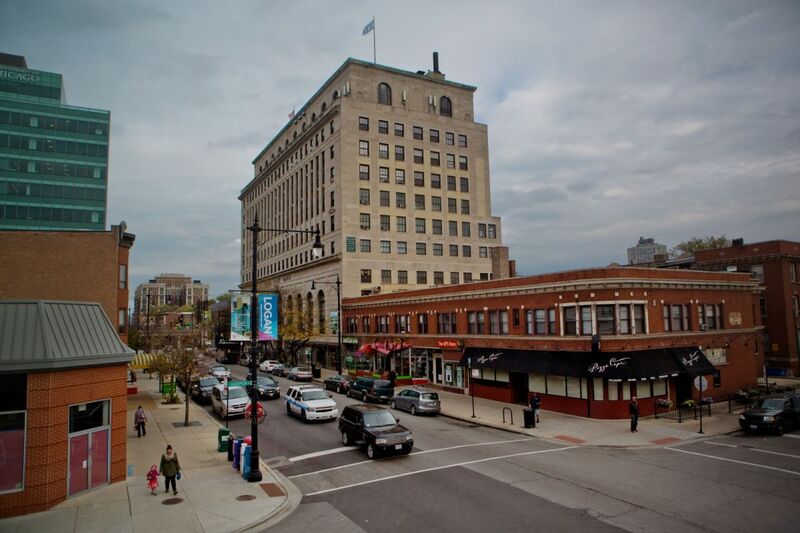 (Buyers can get $5,000 in the area’s more stable neighborhoods and $2,500 in desirable Hyde Park and South Kenwood.) The idea, Douglas explains, was to spur some sort of critical mass rather than having new residents and faculty scattered all over. It also helps UChicago zero in on employees who are likely spending less to become homeowners and perhaps need the assistance more. Douglas is no stranger to experimenting with policy. That was the bread and butter of his work in Washington and it’s what he’s brought to OCE — a willingness to lead with ideas. And, as Zimmer told his unnamed colleague, Douglas is the perfect guy for the job, even if he didn’t know it at the time. After he graduated from Yale Law School, Douglas worked as a lawyer at the NAACP Legal Defense Fund, where he focused on educational equity and affirmative action. It was there, while working on a Connecticut case, that he saw how critical public policy was to cities. He put in a call after Obama was elected to the Senate in 2004, but didn’t have the experience for a government gig just yet. So he went to the Center for American Progress, where he founded and directed the center’s Economic Mobility program. That landed him a job running New York Governor Eliot Spitzer’s — and later David Paterson’s — Washington, D.C. office. Then the White House came calling. Douglas helped shape federal urban policy from 2009 until 2011. A good deal of his energy was spent on housing, transportation and economic development. But his legacy piece, he says, is the Strong Cities, Strong Communities program (SC2). Launched in July 2011, SC2 was designed to spark investment and development in underserved neighborhoods with the assistance of federal partnerships, from the Department of Transportation to the Department of Justice. It was part of the Obama Administration’s broader effort to ensure the federal government was a better partner to American cities, and it was designed to help communities just like Woodlawn in South Chicago. But jobs in Washington have a shelf life and you have to think about your next move before your boss’ term is up. Which is how he ended up in Hyde Park. Though he was skeptical at first, Douglas recognized that the University of Chicago presented a unique opportunity to impact lives and influence policy without all the red tape of a government job. And, he slowly realized, he was well equipped for the task. And that means pouring resources into public schools, supporting local businesses and strengthening neighborhoods. The University of Pennsylvania was a trailblazer in procurement, showing urban universities how to use their massive purchasing power as an economic engine. The University of Chicago wants to not only anchor neighborhoods with their purchasing dollars, but use their vast reservoir of resources — innovation, education, research and the arts — to create more equitable communities. Civic engagement sounds like a cross between the PTA and a steering committee — an office that holds bake sales and town halls. And for years it essentially was that: glad-handing between urban universities and residents. Going out into the community only when you had to. Only when you needed something. Driving through the South Side it’s obvious that the University of Chicago is doing something much deeper than that. But the school isn’t the first to try to break out of its gates and strengthen the city around it. Under the decade-long watch of President Judith Rodin and senior vice president John Fry, Penn dramatically changed its role as an anchor institution and redefined the university’s role in the low-income, predominately African-American neighborhoods surrounding the school. While some critics have complained that Penn’s investments in the area made it unaffordable to longtime residents, no one can deny that West Philadelphia today is a safer place than it was when Rodin came into office in 1994. Penn strengthened security patrols, fixed streetlights, and, like the University of Chicago is doing now, implemented a robust employer-assisted housing program that helped stabilize the outlying neighborhoods. The university invested heavily in the Penn Alexander School, which is open by lottery to all children who live in its catchment zone. And Fry teamed up with local organizations — something Philadelphia magazine noted in 2010, “remarkably, had never been done before” — to forge the University City District. Penn, whose office goes by the more farm-to-table-ish moniker of “Local Engagement,” has focused sizable energy on a local model for procurement: Buy local, hire local. In fiscal year 2014 alone it purchased $318.5 million in goods from Philadelphia suppliers and institutions, with $15.4 million of that going to diversity-owned suppliers. Douglas isn’t shy about picking up ideas that have worked elsewhere. He too has embraced local procurement, prioritizing the nine neighborhoods on that map in his office through the UChicago Local initiative. Last year, $6.5 million in wages were paid out to 271 employees of vendors who live in those nine South Side neighborhoods. More than $18 million was paid out to 871 employees of vendors who live within the city limits, according to the university. “This initiative takes a more strategic approach to normal business activities within the university, including buying and hiring, so that we can have a greater impact in local communities,” Douglas told reporters when the program was announced. The former Obama aide has been a quick study. Since he came on in early 2012, the Office of Civic Engagement has tripled in size. Last fall, the OCE partnered with community development organization Local Initiatives Support Corp. (LISC) to launch the Civic Leadership Academy. The CLA aims to groom and develop new public leaders. Susana Vasquez, executive director of Chicago LISC, thinks the Academy will breathe new life into nonprofit and government leaders who might be worn down by the grind of the community development and public sector hustle. It’s these partnerships that have been a hallmark of Douglas’ reign. When he came in, UChicago was riding solo for the majority of its civic engagement work. Today, most OCE initiatives have multiple organizations on board. And it has helped convince public officials that the university is for real. When Douglas met with Toni Preckwinkle, Cook County Board President, to talk about bringing on the county as a partner for the CLA she seemed interested. But it wasn’t until he mentioned LISC and the Civic Consulting Alliance that she gave him the time of day. In “Making the Second Ghetto: Race and Housing in Chicago 1940-1960,” historian Arnold Hirsch explores the history of Chicago’s housing woes. Chancellor Lawrence Kimpton, who ran the university from 1951 to 1960, oversaw a massive urban renewal effort in Hyde Park, which pushed out a large percentage of the neighborhood’s black population. This is just one maddening example of the university’s checkered past with its neighbors. It’s easy to understand why there would be some skepticism toward the university’s push into neighborhoods outside Hyde Park. Shirley Newsome, who I met at a Chicago City Club luncheon where Vasquez spoke, has lived on the South Side for more than 40 years. As board president of the South East Chicago Commission, a nonprofit community development organization, Newsome has her finger on the pulse of residents living within the school’s nine-neighborhood footprint. And, as a vocal and spirited South Sider, she was quick to note the decades of doubt and distrust. Newsome is part of the broader network of organizations and activists Douglas and his team work with to carry out the same mission. Though they might not partner on everything, they’re constantly working together. And, despite the university’s troubling past, Newsome has noticed a change since Douglas came to Hyde Park. Derek R.B. Douglas, the Vice President for Civic Engagement at the University of Chicago, poses for a portrait near the Circle Garden on campus. Last October, on 47th Street in Bronzeville just north of campus, a development Newsome spent a decade working on opened its doors. It’s not a university project, but an indication that non-university businesses are interested in redeveloping the South Side. And the $46 million Shops and Lofts at 47 — anchored by a Walmart and 96 subsidized apartments — brings a level of security the neighborhood hasn’t seen in years. “I think it is sending a very strong message to the retail establishment that things are happening in Bronzeville and that they should feel comfortable coming to Bronzeville,” Newsome says. Just north of campus, UChicago is betting big on 53rd Street, where it has sunk $250 million into redeveloping a dormant retail corridor. Signs of progress and the trappings of any big American city are scattered along this leafy street just off the lakeshore: Starbucks, a whiskey bar, a yakitori joint and the requisite Chipotle. At the corner of 53rd and Harper Avenue is one of the cornerstones of the university’s work: the Chicago Innovation Exchange (CIE). Douglas has a seat on the business incubator’s board of governors and took a leading role in developing it from the idea stage into a brick-and-mortar institution with 18 active partners from across the university, including the Booth School of Business, various scientific research and technology centers, and the OCE. Andrew Sand works for the startup RDMCHEM at the Chicago Innovation Exchange. 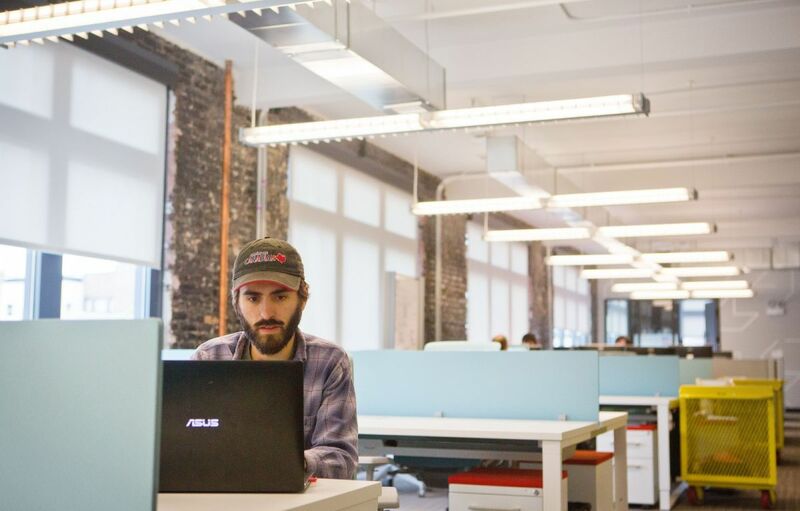 In mid-October, I went to the ribbon-cutting for the 17,000-square-foot incubator, the first on the South Side though not the first in the city. Mayor Rahm Emanuel and outgoing Governor Pat Quinn spoke in front of community leaders, faculty and what appeared to be a smattering of eager, khaki-clad Booth students. I asked Douglas about Emanuel’s remarks the following week over coffee across the street from City Hall. He had noted the comment as well. For the Dorchester Projects, artist Theaster Gates restored several buildings along South Dorchester Avenue near East 69th street, including the buildings at center and at left. It’s this vibrancy that the university is seeking as it ventures out beyond campus borders. Just west of the CIE, on the other side of the Olmsted-designed Washington Park, is the University’s Arts Incubator. The brainchild of Theaster Gates, the center — which, while I was in town, sat in the shadow of a billboard on the L tracks commemorating Jackie Robinson West, the South Side squad that made it to the Little League World Series this summer — opened in March 2013. And, as you’d expect, a coffee shop opened up next door on the once-desolate strip this summer. Gates, who grew up on the city’s West Side but now lives on the South Side, is probably best known for the Dorchester Projects. The success after they opened in 2009 — which landed him in the 2010 Whitney Biennial — allowed him to buy another house in the same neighborhood and launch an artist-in-residency program. The Arts Incubator is the standard-bearer in what the university is calling the Arts Block. In that same corridor along Garfield Boulevard in the Washington Park neighborhood, Douglas and Gates’ teams are working on a black-box cinema and theater, a community pavilion and a mixed-use space, among many other lofty ambitions. The Incubator is in full gear; the rest of the Arts Block is in various states of development. Gates, who Douglas called a “kindred spirit,” has been at the University of Chicago since 2006. The school’s Arts and Public Life program, which he is the director of, “has been bumping around since about 2010,” he says. The Arts Incubator boasts 10,000 square feet of space for artists-in-residence, apprenticeship, and programming, like oral storytelling classes for adults and community yoga. There are plenty of classes for adults — including knitting — but the programming for local children is part of the university’s broader education efforts. And, in some cases, it helps fill holes that local public schools, starved for resources, can’t fill. From an empowerment art workshop for adolescents to a youth digital media and news literacy program, Arts and Public Life is working to educate and enrich the children of the South Side. The majority of Derek Douglas’ work doesn’t make headlines. But there is one project that the university is working on that casts a massive shadow over the entire Windy City: Barack Obama’s presidential library. The university commissioned an economic impact study last spring and its findings were impressive. Construction alone could create 3,280 short-term jobs that could total $156 million in earnings. The university tallied 1,980 permanent jobs with annual earnings of $56 million. A potential 800,000 annual visitors were projected to spend $31 million on food and retail near the museum. Another $110 million in spending from the library was projected annually. Douglas seemed most excited about the library’s potential as a spark for investment in infrastructure and as a center for programming and education. But while many are optimistic, it’s not a done deal. John Fry is at Drexel University now, trying to reimagine another neighborhood in West Philadelphia like he did at Penn in the ‘90s. But he appears to be taking clues from Douglas these days: The school is in the rendering phase of establishing an Innovation Neighborhood near Philadelphia’s 30th Street Station. Douglas and the University of Chicago want to be a model for urban universities, as Penn was before them. But these institutions don’t just want to be models for each other. They want to see the impact outside of the university sector. They’re hoping this will ripple through other cities, here and abroad. And policymakers in Washington have taken notice.